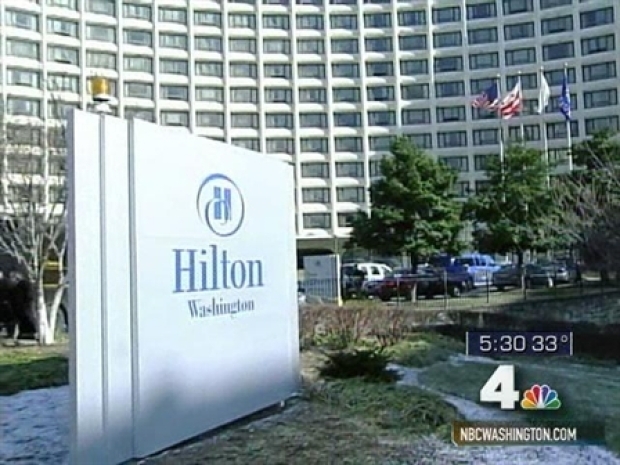 Fairfax County has successfully courted Hilton Hotels, bringing the company's headquarters -- and more than 300 jobs -- to the D.C. area. FAIRFAX, Va. -- Hilton Hotels will bring more than 300 jobs to Fairfax County when it relocates its headquarters, according to the governor's office. Area jurisdictions began courting the hotel giant immediately after it announced on Jan. 21 that it would relocate from Beverly Hills to the D.C. area. Virginia offers the company a more central location for its worldwide operations and will help reduce costs, Hilton Chief Executive Christopher Nassetta said. Hilton will invest at least $17 million to relocate, Gov. Tim Kaine's office said. Kaine approved a $1 million grant from the Governor's Opportunity Fund for the project. He also approved $2.5 million in funds from the Virginia Economic Development Incentive Grant, a self-funded program of performance-based incentives awarded to "exceptional economic development projects with large numbers of employees and wages that are higher than average for that particular area," according to the governor's office. "Adding [Hilton] to the commonwealth's list of corporate headquarters is a major coup for Virginia," Kaine said. The Hilton Hotel Corp. will be pulling up its corporate stakes in Beverly Hills to make the move to the D.C. area. The relocation means more than 300 full-time, permanent jobs within the next 36 months. Hilton has more than 3,200 hotels and 545,000 rooms in 77 countries and territories.